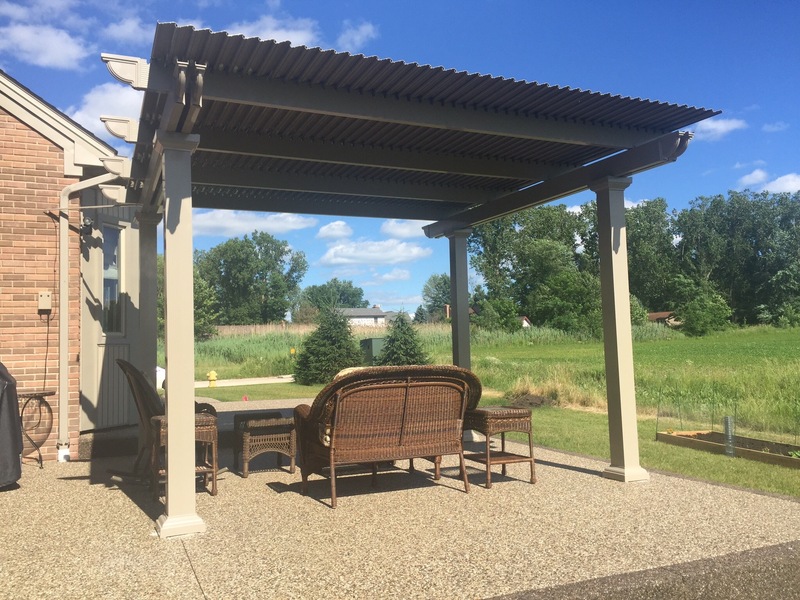 Electric pergola covers from TEMO provide homeowners with the best of both worlds by essentially offering two products in one. 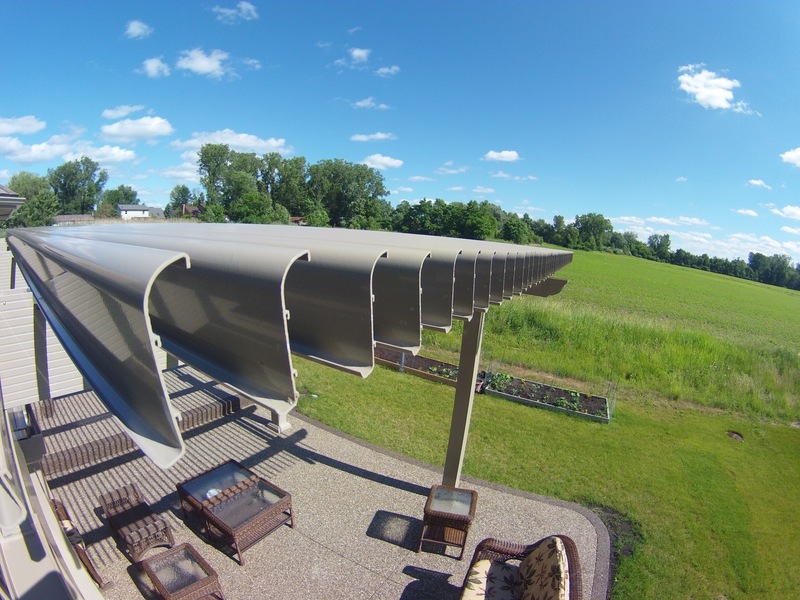 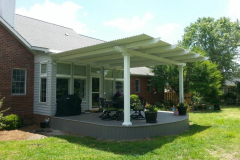 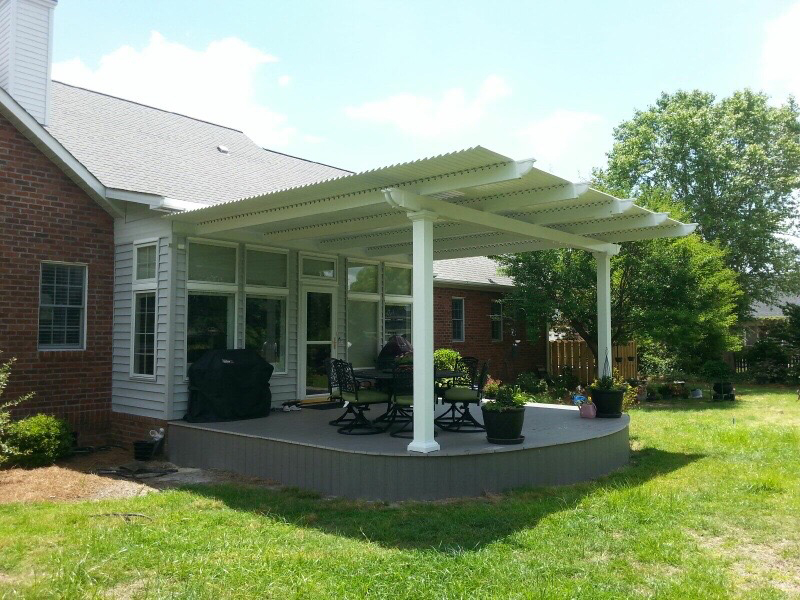 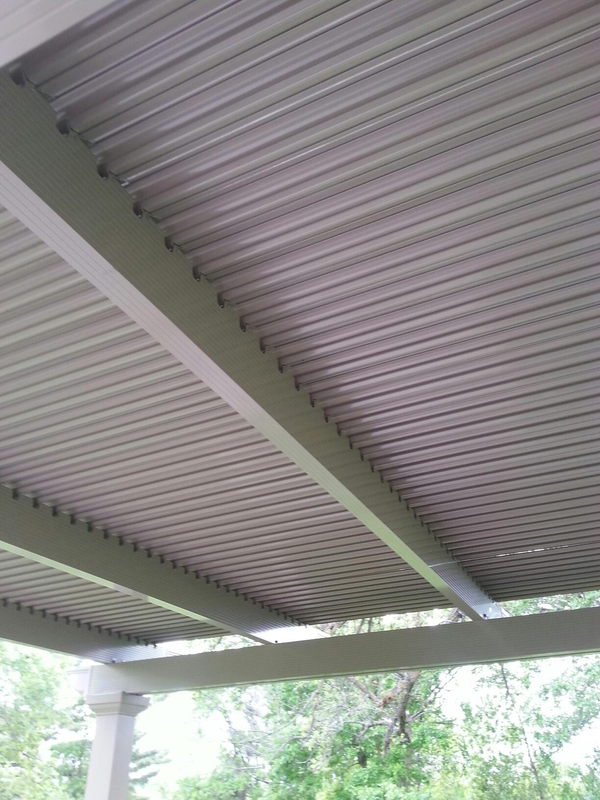 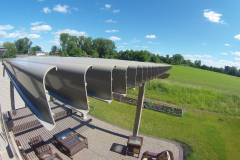 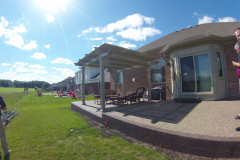 When the roofing panels are closed, our electric pergolas function as a solid-roof patio cover and will protect your family and your furniture from harmful UV rays and other inclement weather. 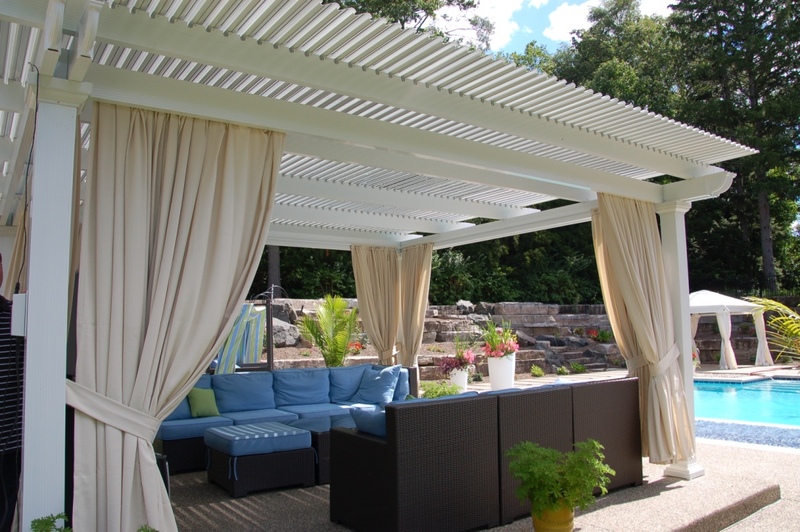 When the roofing panels are open like a traditional pergola, you can enjoy the perfect amount of sunshine and warmth. 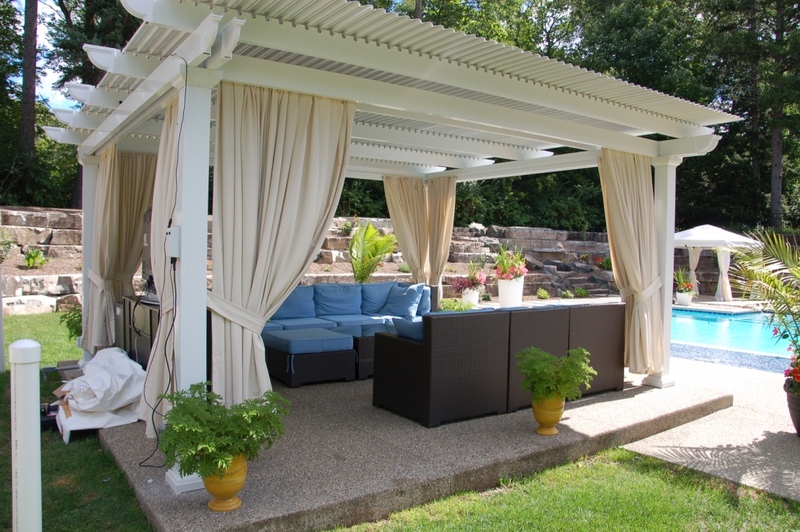 What’s more, switching between patio cover and pergola is virtually effortless thanks to our advanced slow-motion motor, which uses a 500-lb push/pull force to easily open and close the panels at the push of a button. 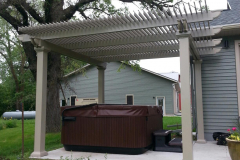 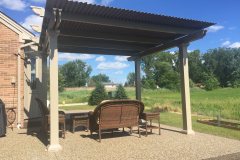 As the country’s leading manufacturer of outdoor living products, TEMO proudly offers electric pergola covers that are functional, stylish, and durable. 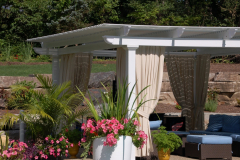 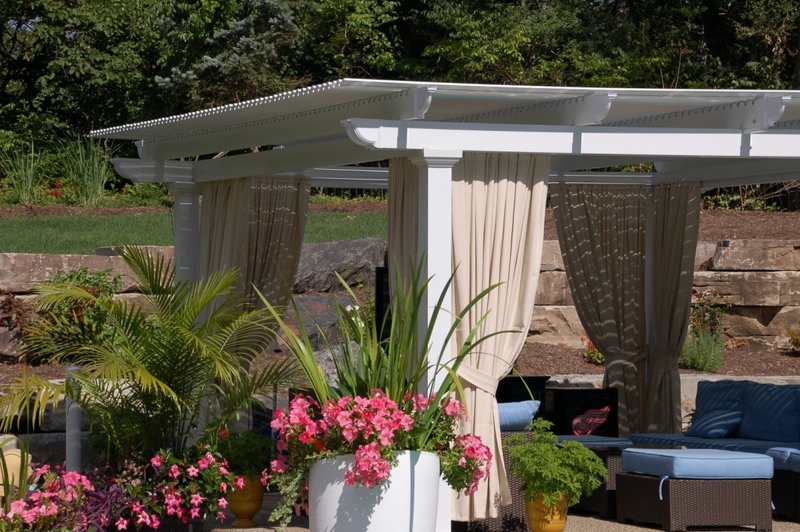 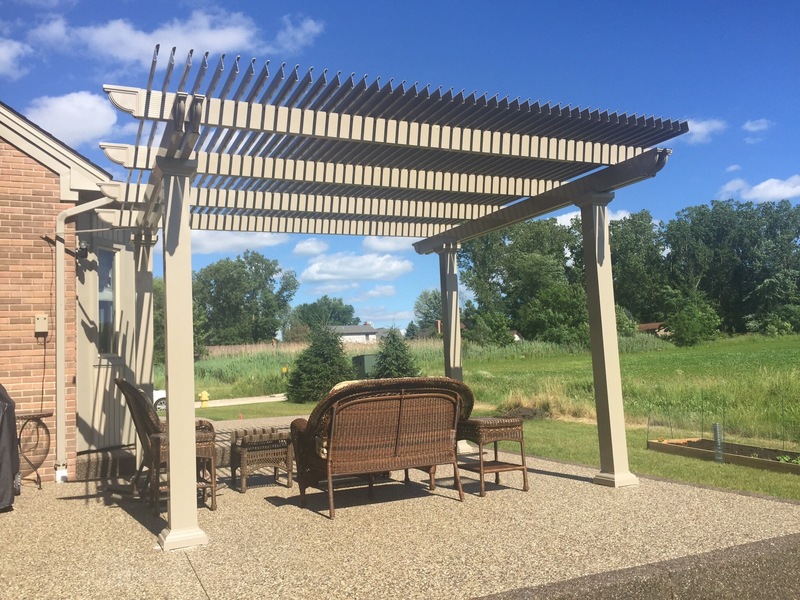 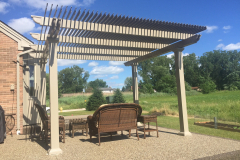 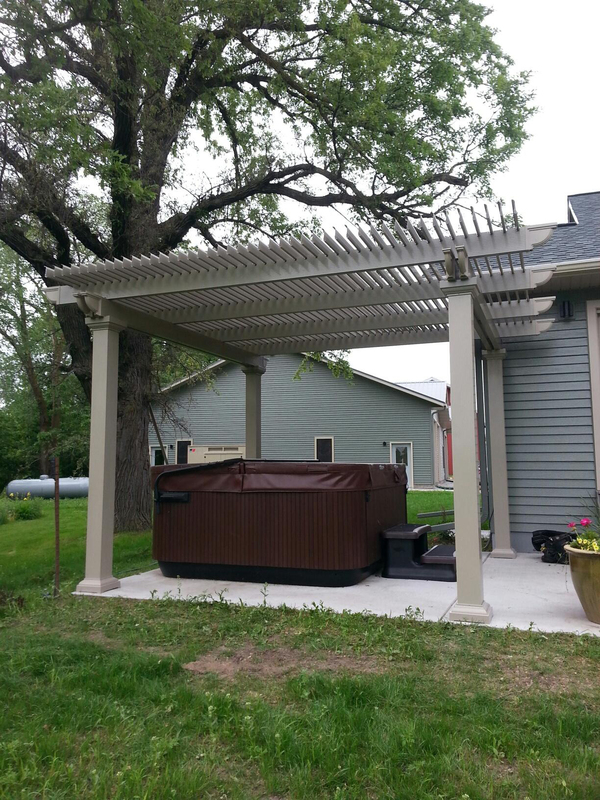 Thanks to our three unique column design options, Roma, Venetian, and Florentine, and our white and sandstone color options, it will be easy to find a pergola to complement your home’s style. 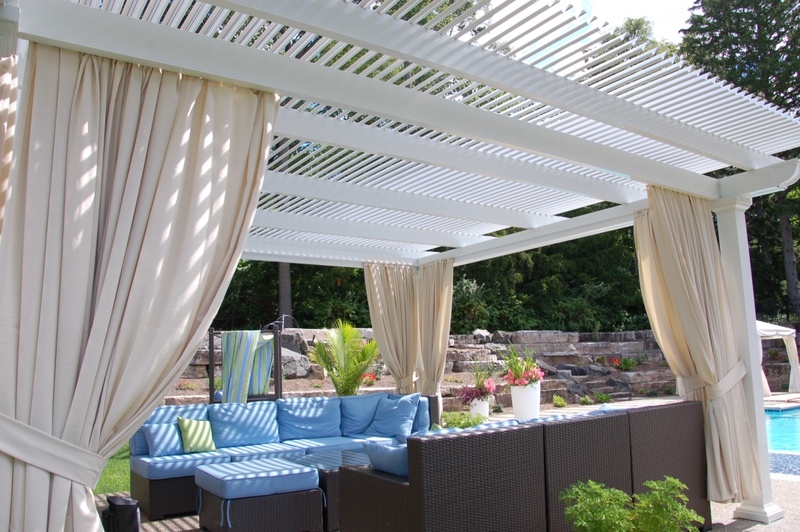 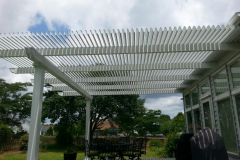 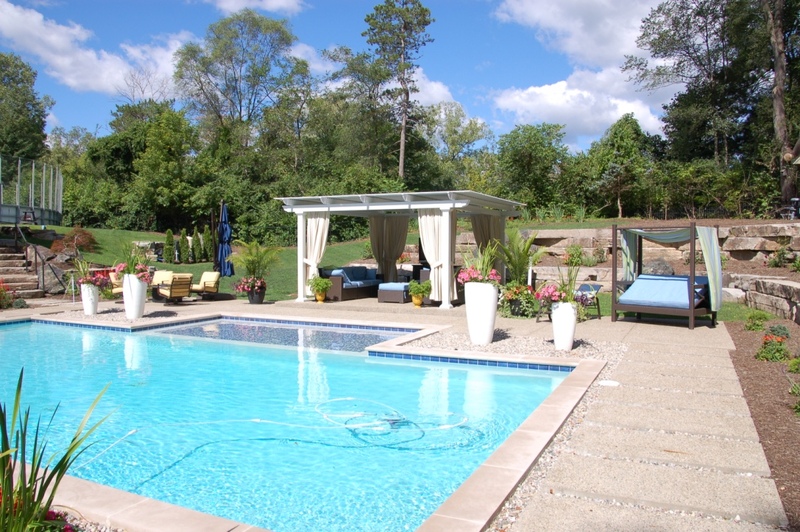 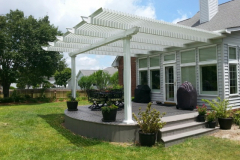 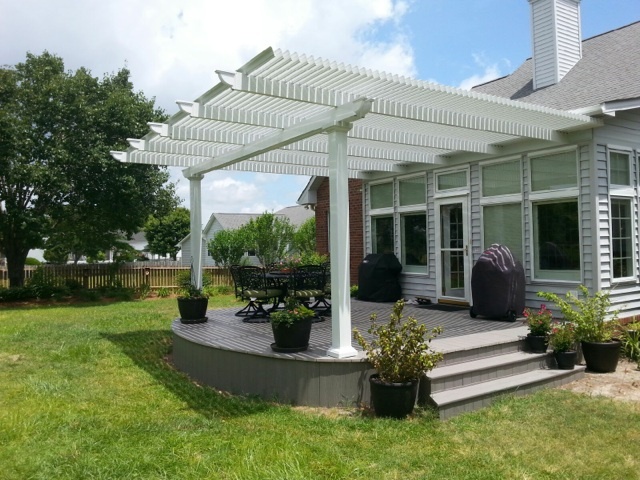 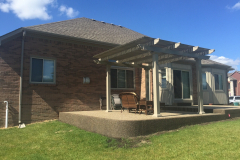 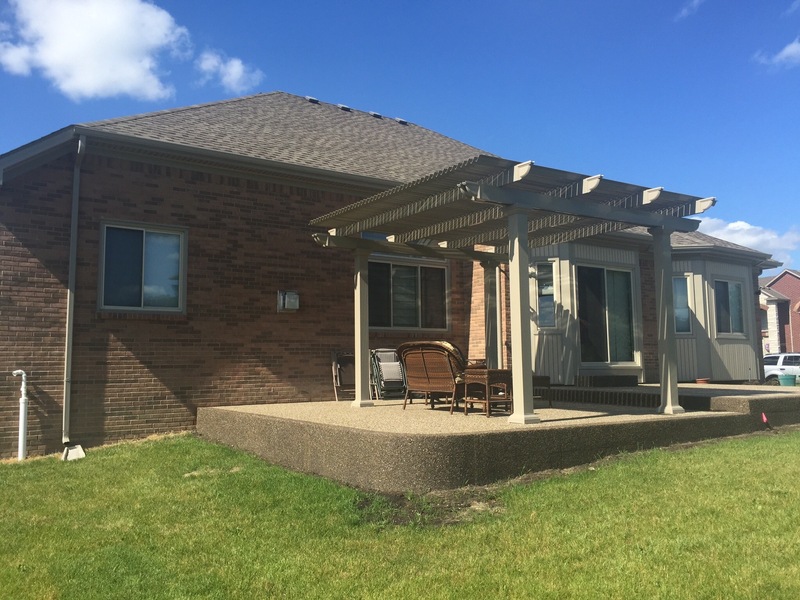 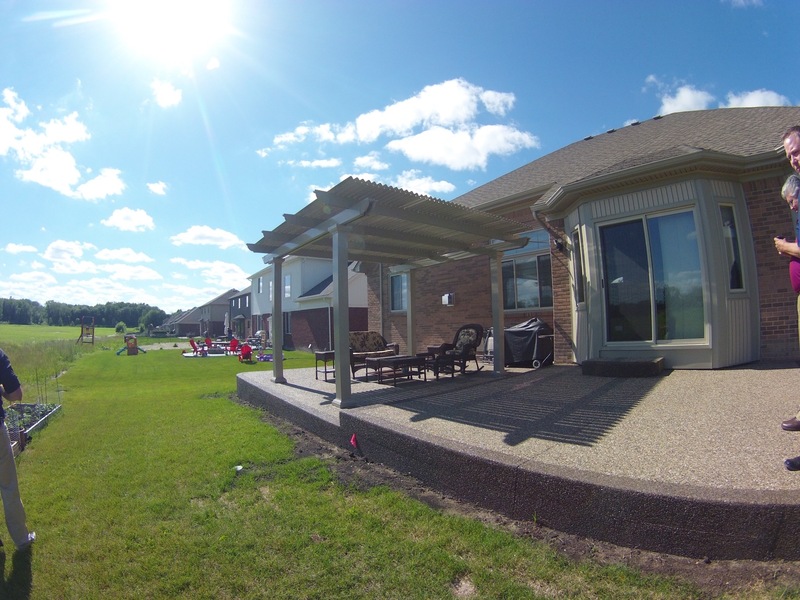 Our pergolas are also made of heavy-gauge extruded aluminum, which is stronger and more durable than pergolas made from wood, vinyl, or roll-formed aluminum. 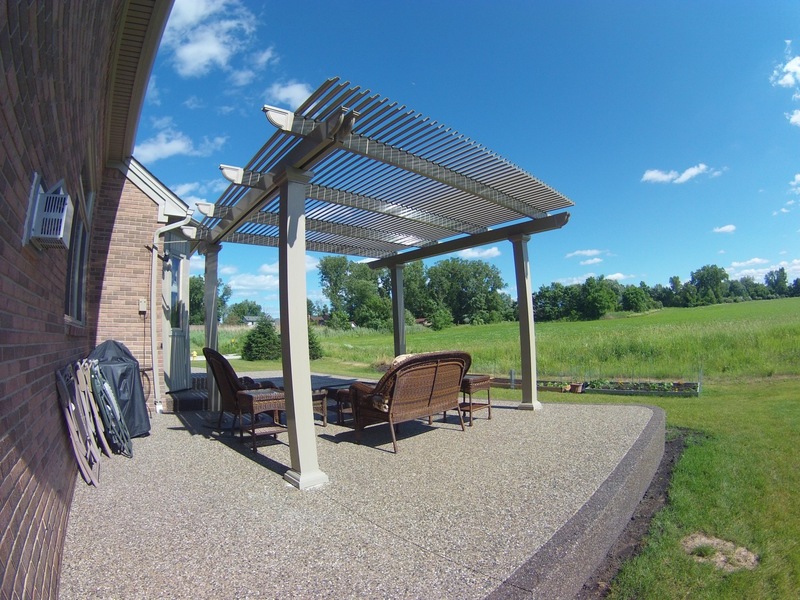 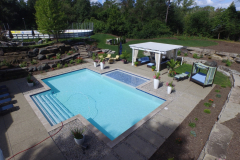 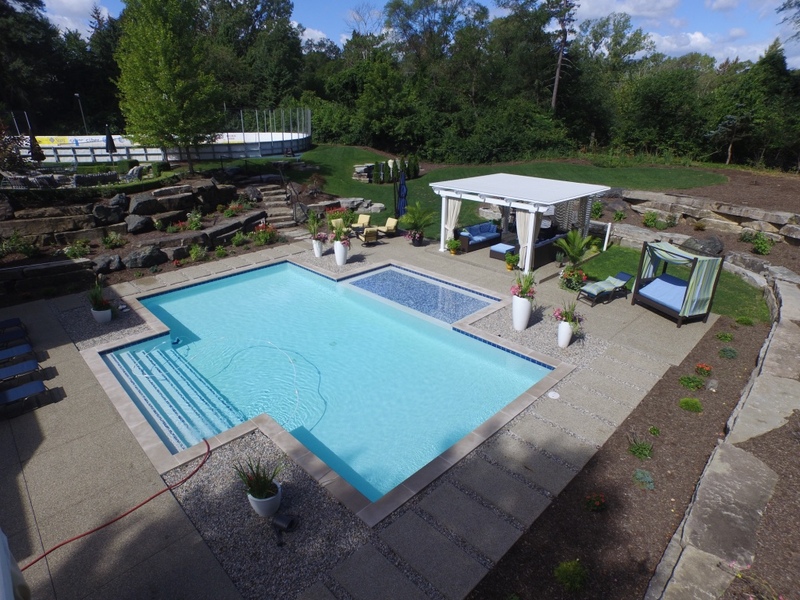 And, because we use innovative TEMKOR surfacing on our pergolas, they won’t crack, peel, rot, or chip, allowing them to continue to look new with minimal maintenance requirements. 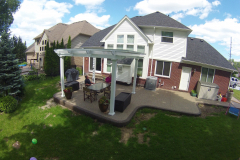 Best of all, our electric pergolas are covered by our Limited Lifetime Transferable Warranty, so no matter where you decide to place it, your pergola will remain protected. 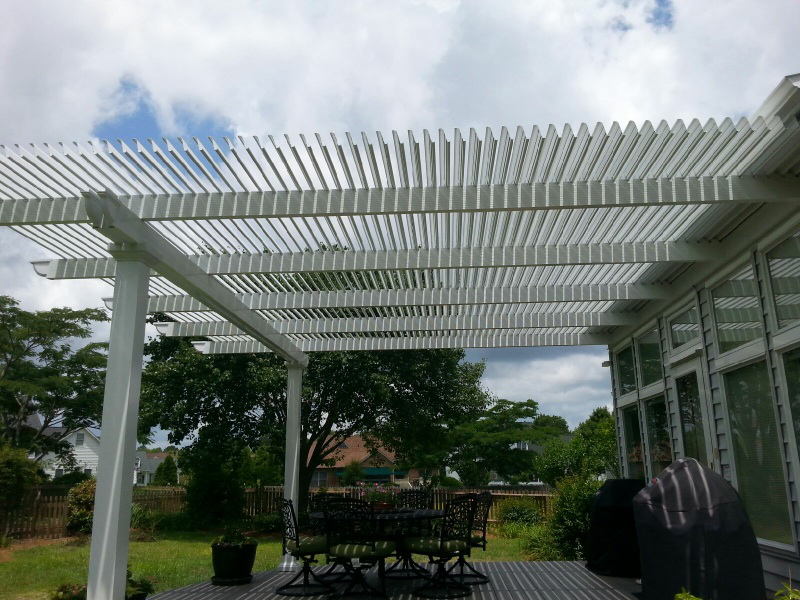 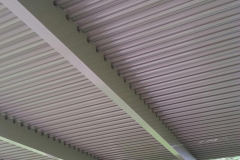 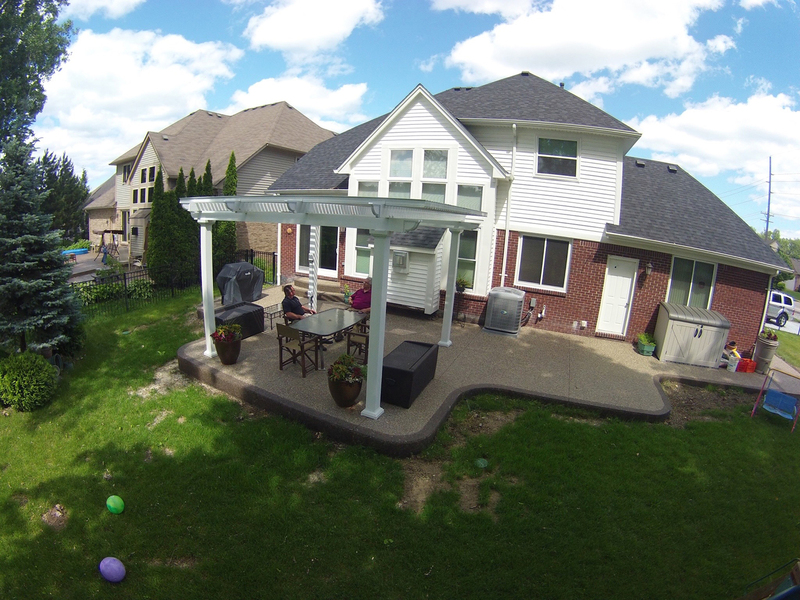 For more information about how to have one of our electric pergola covers installed at your home, contact TEMO today.